In this issue, GM Davorin Kuljasevic continues dealing with the subtleties of the endings with same-colored bishops. While in the previous issue he mostly looked at positions with fairly simple pawn structures (long pawn chains, symmetrical pawn structures, no passed pawns, etc. ), this time, his article features imbalanced pawn structures. The current article deals with five practical examples with same-colored bishops and imbalanced pawn structures. Based on his analysis of these examples, at the end of the article, the author tries to draw some common conclusions for this type of endgame. In the features games, you will have the chance to see some wonderful endgame technique of top players such as Carlsen and Wesley So, as well as some instructive mistakes. White's advantage in this endgame is undisputable. Black has three pawns on the "wrong color" and defending them requires his bishop to remain passive. Even his king can not maneuver much as it needs to protect the key f4 pawn. If the white king had an in-road into black's position it would be all over right here and now, but Fedoseev has set up his pawns in such a way that white king cannot pass the fourth rank. It is no secret, then, that black is hoping to set up a fortress. Our question is: Can you find the winning plan for White? Finding the winning idea is not that difficult. Nevertheless, you should pay attention to Black's counterplay. In the article, you will find extensive annotations concerning this position. 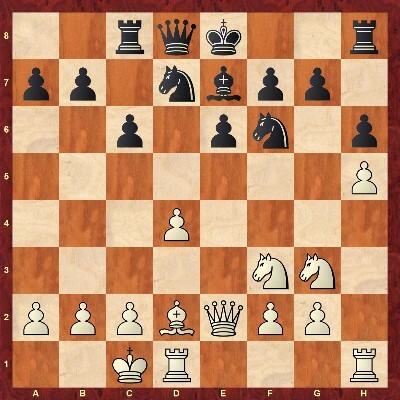 In this issue, GM Marin deals with White's main idea in Benoni type of positions - playing in the center. In the previous article, we have focused on Black advancing his queenside majority. When adopting this plan he frequently relies on the fact that he can keep White's majority under control by defending the e5-square against the central break e4-e5. The g7-bishop plays an important part, of course. Another aspect is that after e4-e5 the d5-pawn is likely to become vulnerable. On the other hand, if properly sustained by pieces, this pawn could become a threatening force. 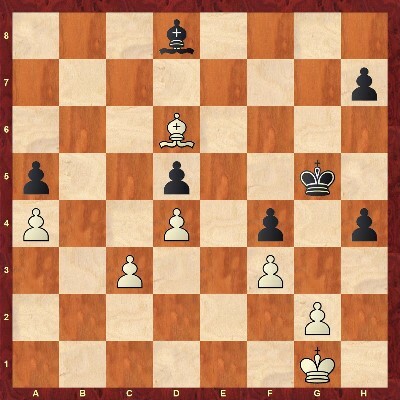 We will distinguish between two main situations: White breaks the center with the help of his pieces or by using the f-pawn to sustain his colleague. We shall start with the optimal situation for White corresponding to the first category when the attack on the wing is effectively met by a central break by perfect piece coordination. Here is an example which illustrates one of the points made by the author. You Don't Know? So, Dig Deeper! Are you confident when you enter a sharp and wild position? Do you trust your calculations? If your answer to these questions is negative, let GM John van der Wiel guide you. In his current article, once again, he throws the reader into a jungle of endless sharp variations. Traditionally, he uses his favorite training format - a game with questions. At a certain point, the game is paused and you are asked to make complicated calculations. As the author says himself, you should dig as deep as possible in order to find the answer. And this is not the worse...Using a computer is not allowed (at least not advisable). And here comes the good news. The correctness of your answer is not so important. The main goal of these article series is to develop your ability to analyze. 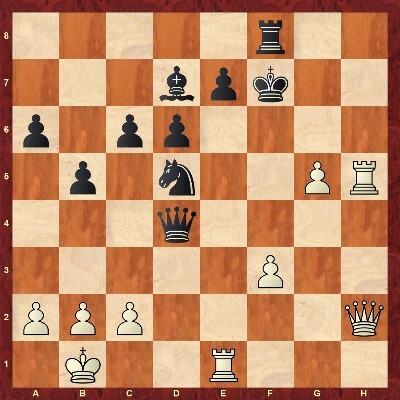 13...Rc8 may not be the best move, but Black has certain ideas with it. Determine those, then decide on your 14th move and after the logical reply, find out what White's TWO best 15th moves are. That requires some sharp calculations! Even from the opening, the author forces you to think on your own. And this is the easiest exercise in the article! So far, GM Ninov has written several articles dedicated to various methods of attacking the short-castled king. Sacrifices on practically every square in front of it have been examined. His latest article practically combines multiple attacking ideas which were dealt with in the previous materials. The ability to spot and attack the weakest point around the king of your opponent is crucial. In the present article, GM Ninov analyzes in depth three attacking masterpieces which illustrate the main topic. 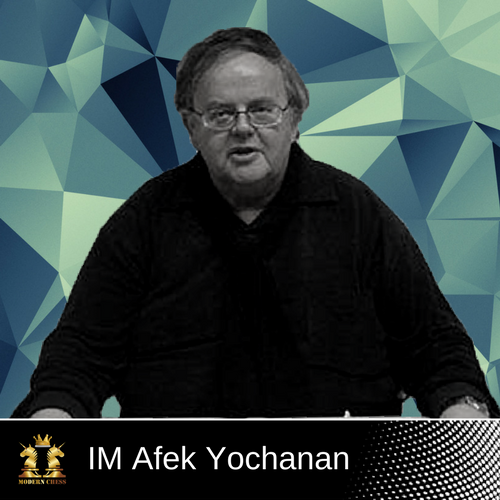 We are happy to introduce our new author, IM Yochanan Afek. He is known as chess writer, trainer, and organizer. He is a co-author of Invisible Chess Moves (Book of the Year 2011) and author of Extreme Chess Tactics (2017) and 7 other books as well. Furthermore, he has written hundreds of articles worldwide. Currently, IM Afek is a columnist in The Problemist, EG and the website of Israel Chess Federation. Also, he has great successes in the field of chess composition. It is enough to mention that he is GM and International judge of chess compositions. When it comes to over the board play, despite being IM, he is IA as well. Tactics, calculative skills and out of the box thinking may be trained in various ways. We will try to do it by a series of training sets of exercises displaying creative continuations which were simply missed over the board in real time and found in the post-mortem. This position was reached in the game Naiditsch - Svidler played in 2009. Can you spot White's winning possibility? At the end of the article, the author provides useful tips which shall allow the reader to seize such creative ideas over the board.